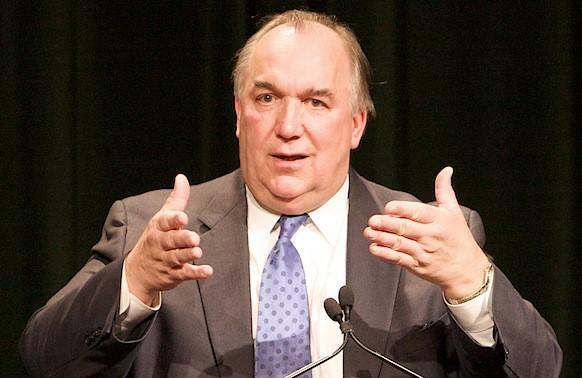 When then-governor John Engler pushed for charter schools in the early 1990s, he was hoping to create a system of schools with more freedom and less regulation. But charter schools in Michigan today have to abide by almost all the same regulations as traditional schools. If Michigan’s charter school policy was meant to empower parents and local communities, how did our system become dominated by large management companies, many of them based out-of-state? The Free Press investigation lays blame at what it says is Michigan's especially permissive charter school law. In Michigan, the argument goes, there is lax oversight and educational companies have swooped in to take advantage. That isn’t the only way to explain the rise of for-profit education management companies in Michigan. The other explanation, confusingly enough, is the opposite: For-profits dominate in Michigan, not because of lax regulation, but because of excessive regulation. Miron says an example of this is what it takes to start a charter school in this state. "There’s not many local groups that have the wherewithal and the time to put together a 350-page charter application, with an elaborate curriculum and everything," he says. "Now,these for-profit groups come along, and when you actually look at their charter proposals, they’re identical from one school to one school. They can submit these things en masse, and they have become the vehicle for growth." Just over 20 years ago, when Michigan's charter school law went into place, there was a big fight, including a court challenge that went all the way to the a state Supreme Court. When the dust settled, what the state ended up with was a kind of Frankenstein’s monster: a cobbled together set of pieces and parts. It was enough to bring charter schools to life, but no one was totally happy with how it turned out. Mary Kay Shields, who was appointed by then-governor John Engler to oversee the implementation of Michigan's charter school law, says the charter schools ultimately were required to fulfill nearly every requirement that traditional schools must fulfill. "It didn't look like the original concept," she says. "And it ended up we are the only state that I'm aware of that has to still do everything a traditional district has to do." Charters don’t have to have local collective bargaining agreements with teacher unions. They don’t pay into the state teacher pension fund. Plus, they’re free from teacher tenure laws. Which, taken together, explain a lot of the controversy and political fighting that have happened around charter schools. And it helps explain why the emergency manager for Muskegon Heights schools decided to convert the district to a charter school system: to save money. But Shields says the burden of all the other regulations - the reporting requirements, the testing requirements, the endless stack of paperwork that any school administrator will tell you they hate – it all makes it very difficult for local, grassroots groups to operate a charter school. "Think about it," she says. "The original vision of a charter school is to have an impassioned school leader, or an impassioned community leader, or an impassioned teacher who has this vision that 'I want to teach kids differently.' They were getting crushed by the regulations. Just crushed, because they had no idea all the things that took place in the back room of a traditional school district" to comply with regulations. 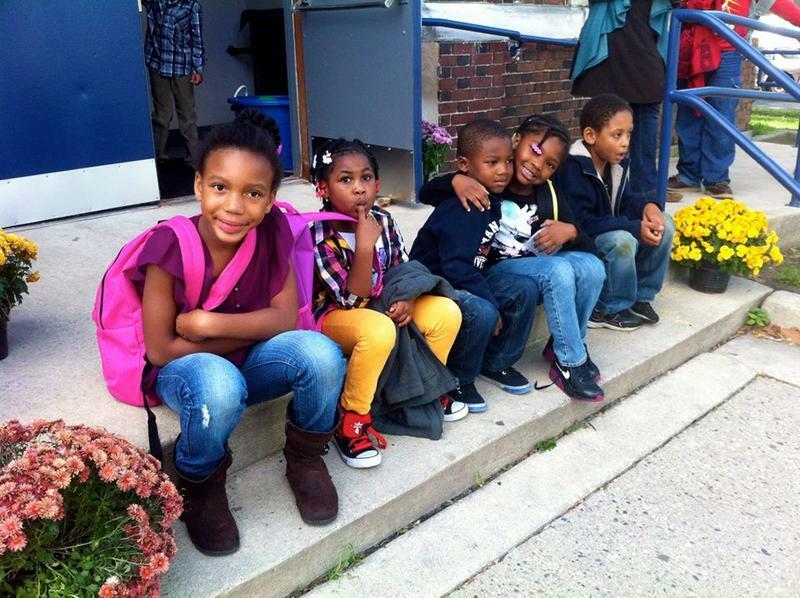 Why does Michigan have for-profit companies running charter schools? "The way the legislation is structured, you would be almost crazy to try to attempt to open a school without help," says Mary Kay Shields, who was one of the early leaders of Michigan's charter school movement. Shields says this is where the management companies came in. "The way the legislation is structured, you would be almost crazy to try to attempt to open a school without help," Shields says. The other thing that makes it hard, if not impossible, for a small operation to open a charter school is start up costs. Say you wanted to open up a charter school this fall: First you’ll need to buy or rent a building. Then you’d need to hire and pay your charter school staff. The state of Michigan provides most of the money to run schools, traditional or charter. But, that first check – it doesn’t arrive until October. So to start up a school, you'll either need to have a bunch of money, or know someone who’s willing to loan you a bunch of money. This is another area where having a large management company can help. One of the fears of allowing private, for-profit companies to operate schools is that company executives will get rich while kids’ education suffers. That is one of the big distinctions of a privately held, for-profit company. If it’s private, it doesn’t have to disclose executive compensation to anyone. Last year, Bridge Magazine did an analysis of how Michigan’s charters schools managed by for-profits measure up to those run by non profits. Bridge concluded the for-profits performed the same or better than their peers in the non-profit sector. But, when you look at what’s happened in Muskegon Heights, it seems just as important to ask whether some of these companies can even be viable, if they depend on profits to sustain themselves. When Mosaica Education agreed to run the Muskegon Heights schools two years ago, one thing many people were hoping for was stability. Just two years later, Mosaica was gone, getting out of its contract three years early. The reason the company left had nothing to do with academic achievement. Test scores had actually gone up under Mosaica’s management, and most parents we’ve talked to were happy with the changes the company made. But it just wasn’t financially sustainable. That’s the reason Mosaica left. "Mosaica will be lucky if they even break even on this. They probably will lose money on it," said Jim Goenner, who heads the National Charter Schools Institute. He serves as a kind of consultant for charter school boards. Muskegon Heights is one of the places where he’s worked, which gives him some knowledge of what happened with Mosaica. "I haven’t seen their finances," he says, "but they have invested a tremendous amount of time and energy and money upfront to try and make this work. This was to be a five-year deal. If they were to have ever made money, it would be on the back end." Goenner says he’s been involved in closing charters because of academic performance. But that’s not the only reason a charter school might close. Out of 84 charter schools that have shut their doors since Michigan’s charter law went into effect, 20 shut down at least in part because of financial viability. Goenner doesn’t know if Mosaica made a profit while running Muskegon Heights schools. Neither do we; the company's finances are private. What we do know is that in order to even finish the 2013-14 school year, the state had to bail out Muskegon Heights schools again. It fronted money for the district to make payroll twice. Then it gave the district a $1.4 million emergency loan to be able to finish the school year. So far, state taxpayers have loaned Muskegon Heights schools more than $12 million in emergency loans to stay afloat. That's more than any other school district in Michigan. 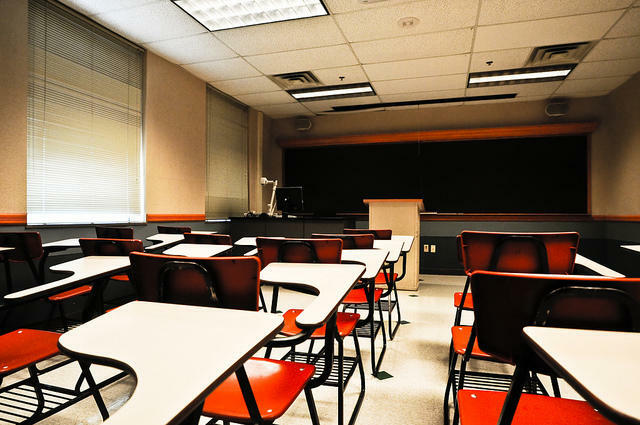 The current discussion around charter schools in Michigan includes plenty of debate about whether these companies should be allowed to reap profits from our education system. But Muskegon Heights shows that, in our current system, not reaping profits can create problems too. In the end, Mosaica did just what the old district leaders did – threw up their hands and walked away. The business case for staying in the Heights just wasn’t there.